Very nice. The multi-graph support will enable multi layer analysis of social networks. 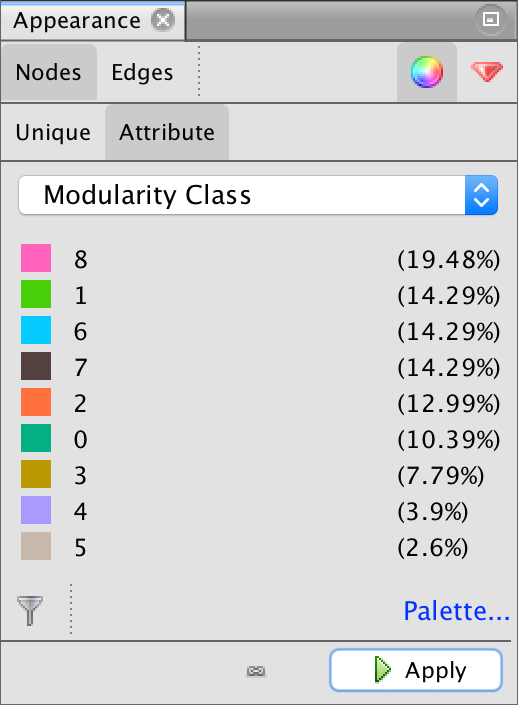 It will be a serious rival for muxviz. Also marketplace will be enriched with more plugins after the new improvements. Thanks. Sounds awesome! Will Gephi 0.9 be compatible with older plugins like SigmajsExporter? Most plugins will need to be adapted to the new version but it’s something we will help people do. More details on that coming soon. Fantastic!! I’ll tell all my students. 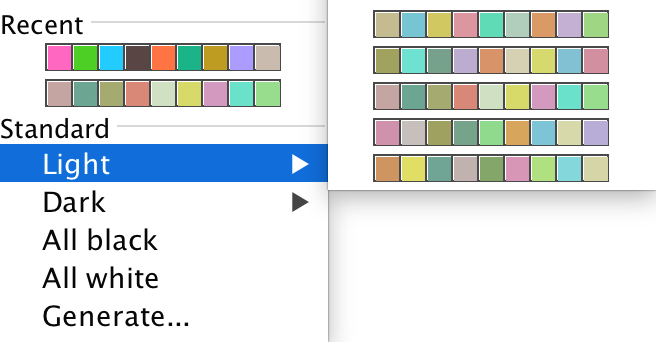 One question: will the New Appearance module enable one to recover a color key once it has gone away (or under what circumstances will one be able to restore the same color key)? In the current version I have to make a screen dump of the key along with the image, as I’ll never get the same key back. Thanks so much! Good question. We have improved that with first a set of palette presets which you can choose from. Then, the menu also has a “Recent Palette” which remembers the palettes you used so if you create a custom palette it will remain. 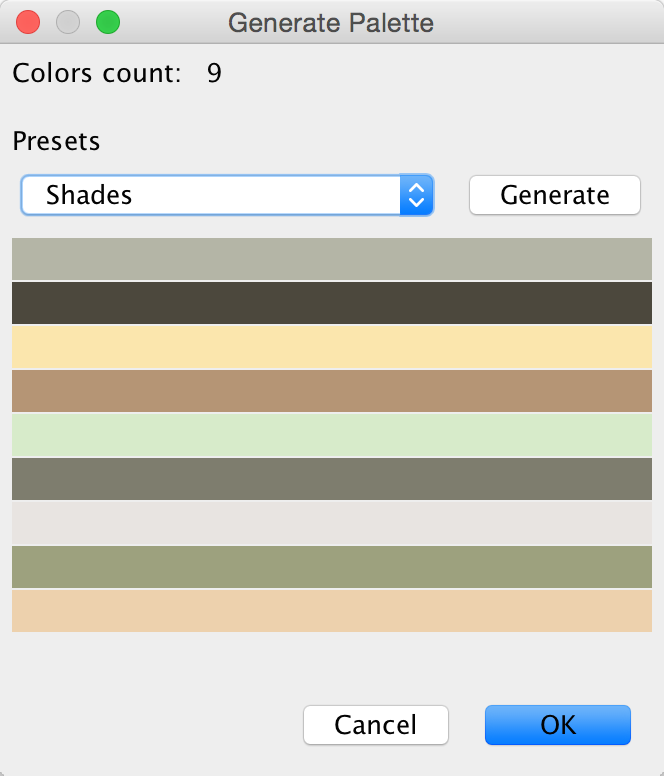 We don’t offer the possibility to save a palette preset at the moment but I feel the recent palette should be enough in most cases. I’m so glad to see that Gephi development is alive and well! Right now it’s my go-to visualization tool. Looking forward to seeing what additional network analysis features come in future releases (or through plug-ins). Hopefully it can one day fill in the gaps that I currently turn to other software for. Regardless, thank you for your hard work! Good news, and I have an requirement about GIS visualization. I want to plot some nodes and directed edges on map, could visualize like some people buy some goods. Will Gephi support the function? Can somebody help me for the registration me in Forum. I tried it with many IP’s, but they mean all of them are in a blacklist. And will work with the windows 10? Thanks, Mathieu. I’m thrilled that you and your team are updating Gephi and I eagerly await version 0.9. It’s a fantastic software tool that you have built! And, by the way, thanks for allowing Gephi to support both intervals and timestamps. For my work, that makes a big difference! That is a wonderful news. Thank you so much for your hard work. Looking forward to that … some gift for the new year!! Gephi is ALIVE ! ! Is the possibility to add graph background image included into version 0.9? Solves java compatibility issues, nice. I also cannot register in Forum. The 3d look has been removed until Gephi support for 3d networks can be mature enough. We currently have problems maintaining the forum, but you can post on the Facebook Gephi group, which is quite active. Ok. 3D look is a great feature of Gephi and I expect will be back soon. Is there a prevision for reaching this maturity level? No previsions at the moment. I’m confused – where is Data Laboratory’s icon. There is no access to Node’s and Edge raw data. I’m taking a class that requires us to use gehpi. 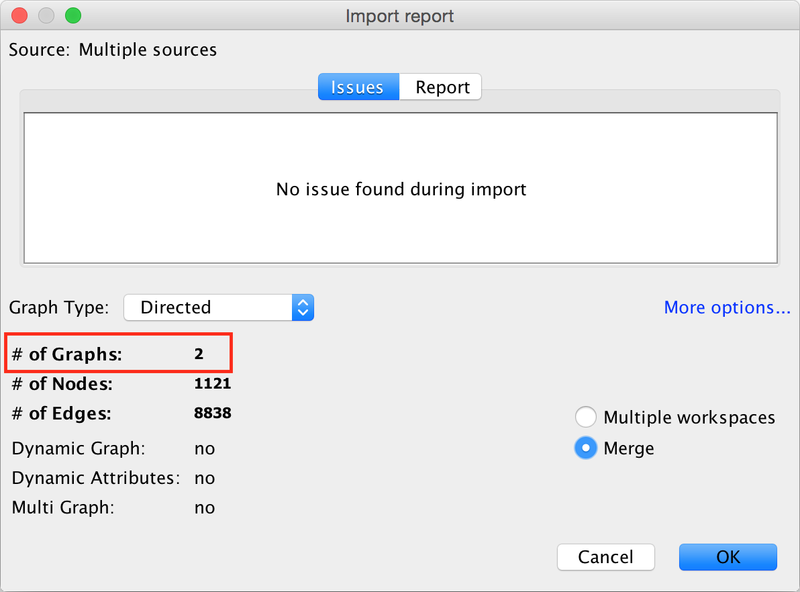 I need to import an email network into gephi and the Import.Spigot function that i’ve been instructed to use does not appear in 0.9; I see an Import Wizard but only get a blank screen (no options) when I click on that. I’ve looked through the forum and other places for guidance and only see references to how to do things in 0.8. Where else should i be looking for step-by-step guidance?